China’s online shopping culture is a complicated environment that is growing faster than in the USA, but still lags western markets by almost a decade, according to a report from Acquity Group, a brand eCommerce and digital marketing firm. In some ways [the online retailing market in China is] evolving faster than in the US, in some respects it’s where we were in 2002. People in China choose to shop on the Internet most often for one of three reasons: (1) greater choice of products; (2) opportunity to compare prices; and (3) convenience. 59% of responders said it wasn’t easy to return goods to online stores. Chinese people spend small amounts online, as a culture of reliability is yet to emerge in the online shopping space. Delivery is an issue as “thousands of Tier 3 and Tier 4 cities do not have the logisitics to make products easily available locally”. The Internet is estimated to reach 457 million users in January — accounting for both mobile and fixed-line access — which demonstrates the potential of the Internet to reach consumers. 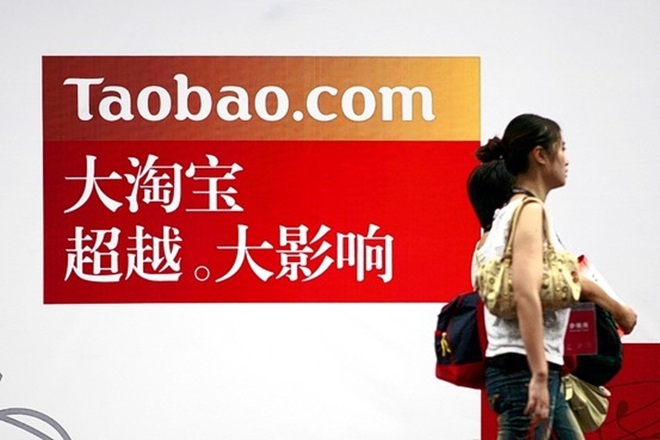 China’s largest direct-to-consumer online retail site — TaoBao — is trying to tempt shoppers online, having started a new advertising campaign in the country this month. TaoBao’s service — known as T-Mall — dominates the Chinese online retail scene, where it holds almost 50% of the B2C market, making it three times larger than its nearest competitor. The total value of all goods sold on the site last year reached an estimated $60 billion, which is twice its 2009 total and higher than the $53 billion recorded by eBay, according to TIME. A further demonstration of China’s web retail potential was shown by recent research from Boston Consulting Group, which forecasts that the country’s online shopping market will outgrow the USA’s to reach $315 billion (2 trillion RMB) by 2015. According to the study, the average Chinese online shopper is set to double their annual spend on Internet shopping to reach $940 per year by 2016; however, that is still short of the current average US online shopper’s $1,000 spending per year.